The CSR Report 2017 published by POSCO-China in June 2018 affirms the 5-star rating, the highest level of achievement earned from the Corporate Social Responsibility (CSR) Expert Committee on June 22. This marks POSCO’s second time around in securing a perfect evaluation score since 2011 when POSCO-China first issued the CSR Report in China. 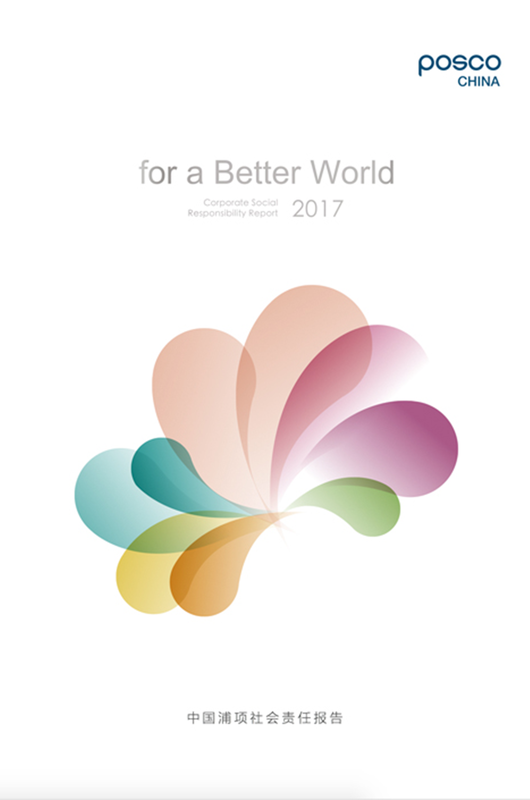 The report presenting two different elements, the management(sustainable development) and the implementation(social responsibility), conveys POSCO’s philosophy, notions of social responsibility, and efforts to reinforce communications not only with customers but to cultivate a congenial relationship with society at large. POSCO-China details the sustainable development activities during the past year from the perspective of management as well as demonstration. The beginning of the report displays data analysis regarding the practices of social responsibilities based on the UN Sustainable Development Goals (SDGs) of which companies around the world strive to achieve. To commemorate POSCO’s 50th anniversary, the report congruously details the history and achievements of CSR at POSCO during this half-century span. Before the publication of CSR Report each year, POSCO-China conducts online surveys and votes on related issues to enhance transparency. Owing to this effort, POSCO was ranked number 7 by the Chinese Academy of Social Sciences in the ‘Chinese Corporate Social Responsibility Development Index’ in 2017. As POSCO-China’s recognition is preeminent in the CSR Report, POSCO was able to consolidate its brand image as a ‘responsible management company’ that advances alongside China. This branding will be actively used not only for government relations but also for efforts in marketing.